Aljazera Brokerage Company for Securities Limited is a premier brokerage firm for securities on the Iraq Stock Exchange ( ISX ) . You can find us listed on the ISX website , http://www.isx-iq.net , and on the Iraqi Securities Commission ( ISC ) website , http://www.isc.gov.iq . 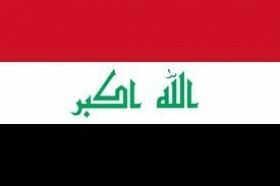 Our firm was founded in 1992 , the same year the Iraqi stock market was established . We are a licensed brokerage firm for purchasing and selling securities and a registered member of the ISX . Our registration license number is 4899 . This license was issued by the Iraqi Companies Registration Department , Ministry of Trade . Aljazera Brokerage Company is regulated by the Iraqi Securities Commission ( ISC ) .